Every day is Kristallnacht in Occupied Palestine, things worst of all in blockaded Gaza. It's a virtual free-fire zone for Israeli soldiers, peaceful demonstrators gunned down in cold blood. Cross-border incursions, terror-bombing incidents, and wars of aggression are launched at Israel's discretion. US media largely ignore what's going on, supporting what demands condemnation. The world community is just as indifferent to Palestinian rights, doing nothing to hold Israel accountable for high crimes of war and against humanity, the way it's been for seven decades. October 12 was the 29th straight bloody Great March of Return Friday in Gaza, seven Palestinians killed, another 252 wounded, including 50 children, 10 women, three journalists and two medical workers, according to Gaza's health ministry. Ministry spokesperson Dr. Ashraf al-Qedra said soldiers used live fire on a medical post. Over 150 demonstrators were wounded from live fire, some seriously. Since protests began on March 30, 204 Palestinians were killed, over 22,000 others wounded. According to Gaza-based Palestinian Center for Human Rights (PCHR) fieldworkers, "Israeli forces continued to use upon highest military and political echelons excessive force against the peaceful demonstrators who posed no threat or danger to the life of Israeli soldiers in the areas of demonstrations." "(I)n all (Strip) areas, (they) were as always fully peaceful…neither weapons nor armed persons…seen." Yet Israeli snipers attacked them with live fire, rubber-coated steel bullets, toxic tear gas, and concussion grenades. Most demonstrators were several hundred meters from the border fence. They chanted slogans and national songs, displayed Palestinian flags, and set tires ablaze. Some threw stones, symbolic actions, soldiers too distant from them to be struck. Israeli violence continued throughout the day following Friday prayers. Separately on Friday, extremist settlers stoned 47-year-old Aisha Mohammed Talal al-Rabi to death, her husband injured during the incident, occurring south of Nablus in the West Bank. According to a medical report, Aisha died from blunt force trauma to her head, caused by large rocks thrown at her and her husband. Israeli security forces witnessing settler violence against Palestinians do nothing to stop it, offenders rarely ever held accountable for vandalism and other crimes too egregious to ignore. Lara Alqasem is a 22-year-old Palestinian/American student. Israel granted her visa permission to pursue graduate work at Jerusalem's Hebrew University. On arrival at Ben Gurion airport October 2, she was detained and ordered deported for alleged past membership in a student organization supporting BDS. She's a former University of Florida Students for Justice in Palestine president. Hebrew University supported her appeal to no avail. "Denying entry to foreign students based on political beliefs or ethnic heritage is an attack on academic freedom. As professors who are committed to academic freedom, and as humans who reject all forms of racial profiling, we are calling on the Israeli authorities to permit Lara Alqasem to enter Israel and pursue her studies." Israeli historian Gershom Gorenberg called Alqasem's mistreatment "part of a trend by (the Netanyahu regime) to turn law enforcement, and the law itself, into tools for policing opinions." According to individuals who spoke to Alqasem, she was largely isolated in detention with little phone access, no Internet, and a bed infested with bedbugs. It's unclear if she intends appealing the ruling to Israel's Supreme Court. Its support for regime toughness leaves her little chance for success. Trump's State Department declined to support her legitimate rights. His regime one-sided supports Israel, ignoring its most egregious offenses, mostly against defenseless Palestinians. 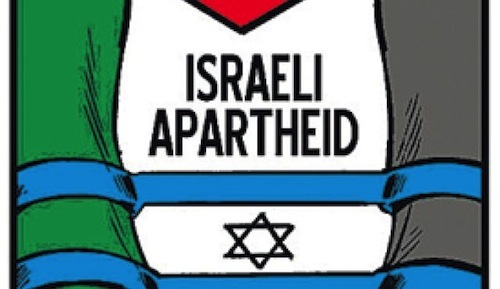 "Our strong opposition to the boycotts and sanctions of the state of Israel is well-known. Israel is a sovereign nation that can determine who enters." The US operates the same way, notably under Trump, banning entry to America by Muslim citizens and residents of targeted Islamic states. Israeli Intelligence, Got It Right!